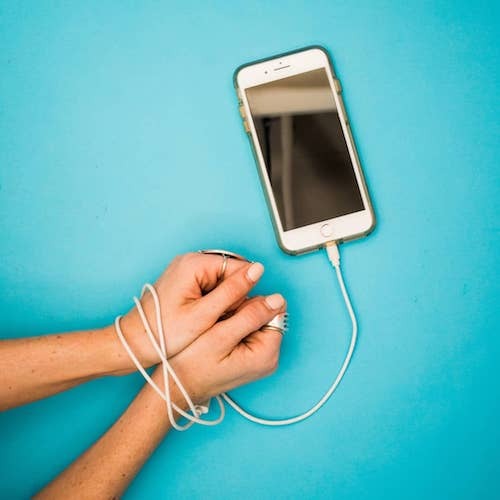 If you’re like the majority of the 2 billion people who use social media, it’s probably become almost robotic for you to reach for your phone during even the shortest moment of downtime. ICYMI, social media is playing a huge role in our daily emotions. Instagram posted their 2018 Year in Review highlighting the trends they saw across the platform. What they didn’t mention was how it’s been a busy year for Instagram internally, with a lot of new updates, features and tools introduced to the social media platform. We took a trip down memory lane with the Imagineers’ favorite social media platform to give you a big picture view of what 2018 looked like from an Instagram user’s perspective. You might have noticed that Instagram’s newest name tags feature looks familiar. Instagram has rolled out scannable name tags making following new accounts that much easier. That’s right, these scannable name tags have already been utilized by Snapchat for some time. With our world becoming more digital every day, we see every platform increase their engagement with their viewers. Instagram, in particular, has been an avid social media app that is dedicated to creating new tools and features to increase engagement..
As many already know, Aesthetic is everything on Instagram. It’s important to hone in on an aesthetic that makes your brand unique and lines up with their style of product. Sticking to brand colors and specific styles of photos should help create a cohesive look, and attract more followers to your page. At Imagine, we use a top 9 grid to create and keep an aesthetic for partners. The aesthetic of your Instagram account is important, but even cohesive content loses its luster if a photo isn’t high quality. High quality and professional photos consistently get more impressions and shares than lower quality photos. If you can see a sparkle in a diamond or all the details of an intricate dress design, it creates a more luxurious look not only to your account but to the product as well. Using a model in some photos, if not all, is a better practice for lifestyle Instagram pages. It reminds the viewer that there are people on the other side of the screen, not a catalog trying to sell them something. Putting human features in your photos gives an audience a feeling of personality, and feels more like a conversation rather than a sale scheme. When people comment all the time “love” “beautiful” “the right one is my favorite” – show these people some love! As brands, you feel excited when people love your work, so you might as well tell them. It makes people more likely to want to interact with your brand more and replying in specific ways can help create a stronger brand voice. Communicating with people directly on Instagram can also help people figure out how and where to buy your products. Across the pond in England, the National Health Service is taking a stand on social media’s impact on mental health. The Royal Public Health Society is urging social media users to take the month of September off Facebook, Instagram, Twitter, and Snapchat. While some avid users are committing to going completely cold turkey, others are are encouraging taking small steps such as avoiding social media after 6 pm or labelling the bedroom as a scroll-free zone. While the organizers of Scroll Free September aren’t deeming social media as evil altogether, their intention for this initiative came from the desire to encourage balance. Although social media has completely revolutionized the way we communicate with each other, it can have some serious negative effects such as cyberbullying, poor sleep, depression, and anxiety. The event is intended to encourage users to check in with themselves and decide what aspects of social media make them feel good, and what parts have a negative impact on their well being.